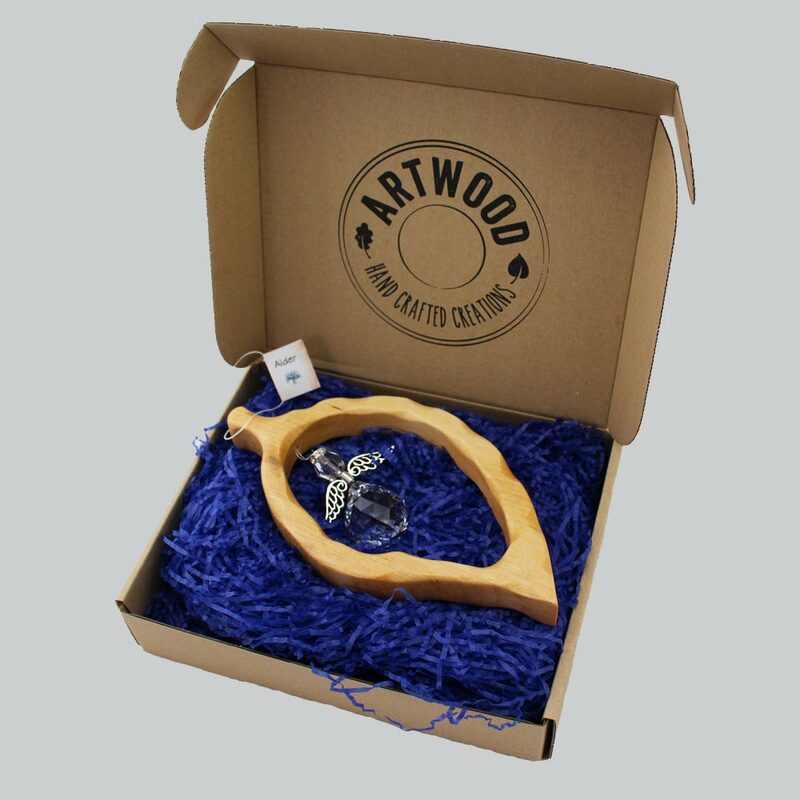 This is a beautiful angel crystal hanging from an amazing shaped wooden leaf, a very unique gift. 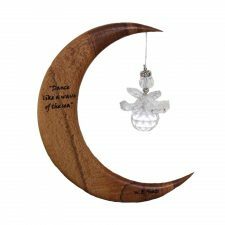 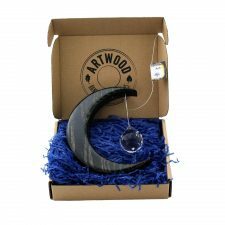 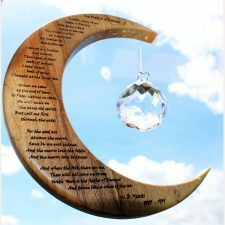 This wooden leaf Suncatcher is handmade from Irish Alder and with a large Asfour crystal prism, reflecting wonderful colours when in direct sunlight. 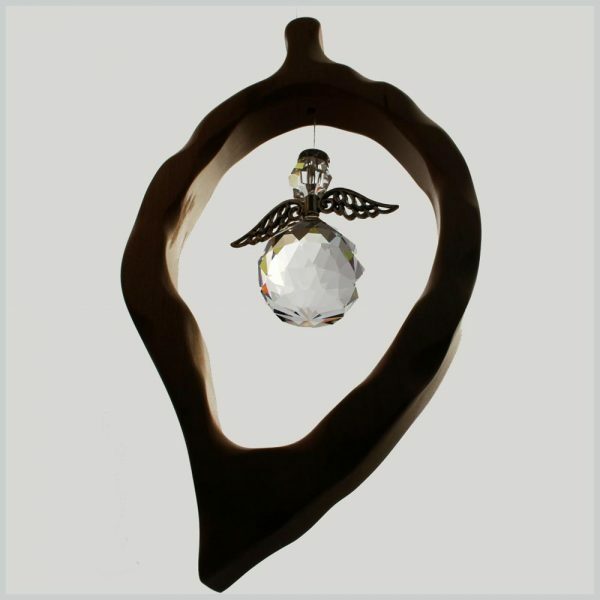 This is a beautiful Leaf Crystal Angel Suncatcher. 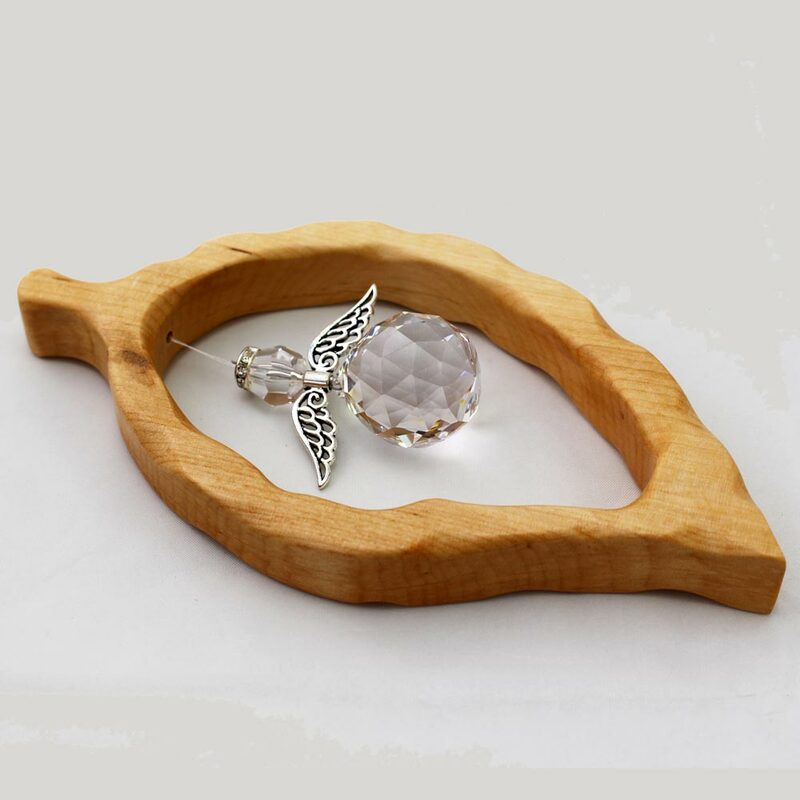 A large Asfour crystal prism angel with Tibetan silver wings and Preciosa crown, hangs from a wooden leaf shape handmade from Alder. 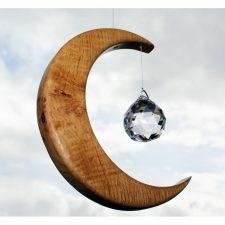 Hang this Crystal Angel Suncatcher in a window for direct sunlight to dance rainbows on your walls.